I love how the legs of your jeans are tucked into your shoes. Want to trade links? wauw echt een super outfit en supermooie fotos!! Awesome jeans, and your hair and the horse-head sort of merge in the first pic. Siiick photos too, and radd blog. I love the sunny photos and your black and white look is amazing once again! I can’t belive your jeans are from H&M! I was trying to look for those JC shoes online but they are rather hard to find now and so expensive on ebay! trust me, i’ve said this to very few people – i REALLY want your hair. it’s perfect in all ways! This might be one of my fave outfits you’ve worn. Love every detail. I’m watching you all the way from Sweden, I love your blog! However, I got two questions for you, 1 witch song is it that you hear enetering this web paige, 2 do you work as a freelance stylist? Looking cool as always! Love your blog. I love the t-shirt (the others from C. Kane doesn’t like)and shoes. The photos are amazing (like always…). La music is so good too! I really like the rock and roll hair, in the first picture it almost looks like an extension of the horse’s mane. can you link me please??? God, I wish I was that thin! Gorgeous. I had tees like that back in elementary school. I always find so much humor them. Also you know some 12 year is missing their horse t-shirt. Sorry if that sounded mean. You are so cute, matching the t-shirt to your hair! Zo’n gave outfit en hele bijzondere foto’s babe!! OH my, I was just thinking how your hair totally blended into the horse’s hair, and then I read the post and that’s what you were going for. A job well done, indeed! And that tshirt is freakin awesome! Great Ebay find. The light flare photos have been such a hype lately…you pulled it off well!! I’m loving this outfit, especially those lace-up booties! Amazing! Oh, how I adore these white jeans with the shoes! wow, these is awesome, rock’n roll baby.. really love that tee!! reaally loving it!! I think you accomplished the look you were going for really well. 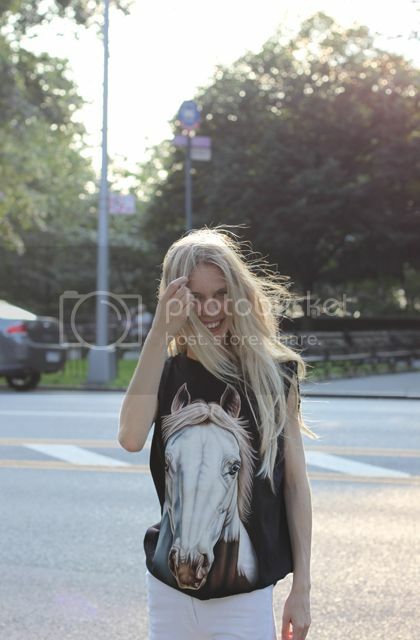 well i think you accomplished what you wanted here- when i saw the first photo i thought how nice it was that your hair blended in with the horse’s hair on the shirt. very cool. dear god, i think i’m in love with you. the jeans? the tee? the SHOES?! this look killlllls it! you are amazing. awesome tee! sure beats paying over 500 bux for the christopher kane tee, this top is just as amazing! good eye! Ah, hose shirt, yee rave! I think you succeeded with blending your hair and the print… Great outfit. you look so beautiful. love this outfit! Miaowww! Bella bella bella! Looking gorgeous m’dear. I’m gonna go find those h&m jeans! God, you’re amazing! Such an inspiration! That’s a genius idea to get that t-shirt to blend with your hair! Also, thanks for the camera tips!! Ooooh this is one of my favourite outfits on you! 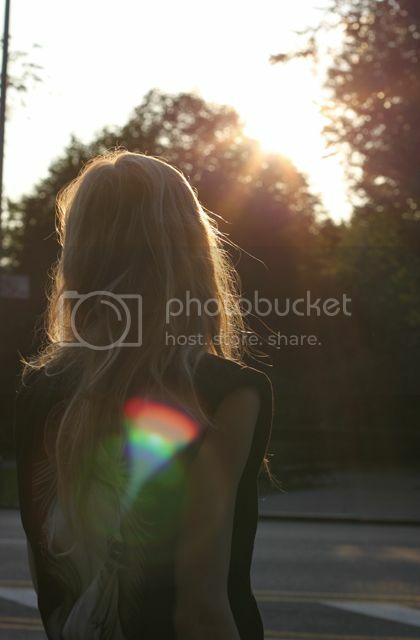 Really suits you..Lovely photos…I want long hair!! SO FAB. I just discovered your blog today and am in love. The JC shoes are amazing. Link swap? The lighting is so unreal, I love it! are you wearing extensions here? I love the whole look, you’re an amazing dresser, never fit a clichee. hope everything is fine where you are but you are glowing so I definitely think so. you are so beautiful and the photos always compliment that. i love ur tee, and the photos is amazin i love the lighting! where are the shoe from again??? Your outfits are always killer but this one? 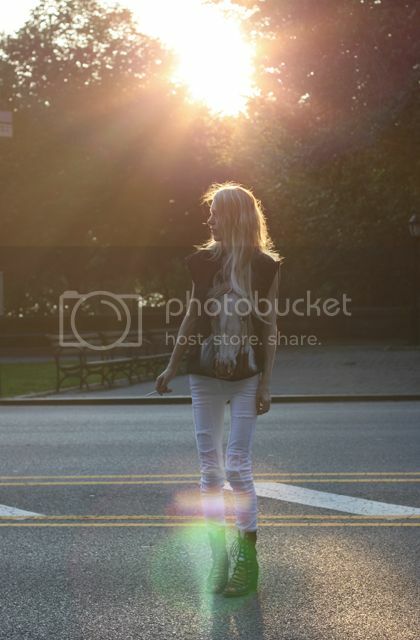 This one is one of my faves….the jeans and tee and those heels combo is out of this world! Put’s my little Tiger Tshirt to shame in comparison LOL!!!! Ive been looking for a horse one that’s JUST like the one Kate Lanphear was photographed in but of course no luck. There’s just something about horses!! (going back to the Chloe line from years ago with horses). Here’s me 2 Chloe horse pants later and STILL digging the horse thing. DUDE – this is one of my faves!! you´re soo pritty and I love your look. That t-shirt: I WANT IT! that shirt is awesome. amazing blog, lady! Those are very beautiful shots! I love that horse! Now I won’t rest until I find a fierce animal head t-shirt. I love this outfit so much. I never really thought white pants look good on anyone but on you they look phenomenal! You look amazing, nice pictures! Before I had the chance to read your post i was so struck by how your hair and Tee match!. You definitely accomplished your goal. I love your blog, and would be honored if you took the time to check out mine. I’ve added you to my blog roll, feel free to do the same with my blog if you dig it. You are all sorts of amazing! Love this whole look. The JC shoes are insane! I like your profile but i think you post waaaay too many pics of the same outfit. I feel like i scroll down forever to read 20 words. Editing is key. You look so magical !! i loove this … you work white jeans so well! these photos are brilliant!! 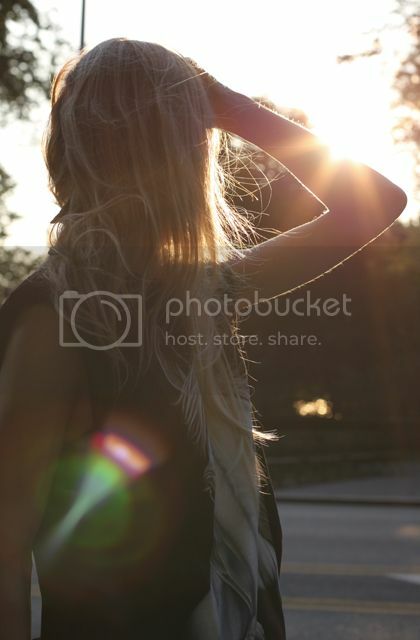 the sun shining through your hair is absolutely stunning. 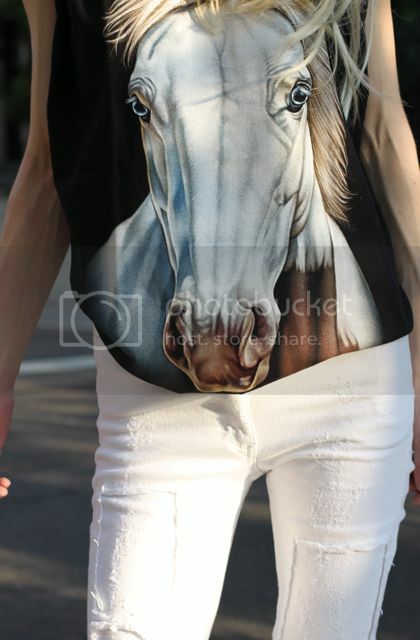 Love that horse shirt! Can you let me know how to buy these T-shirt.. I really like it..